in the Muriel Taylor Studio at the Ruth Carse Centre for Dance (11205 107 Ave). A mix of ballet technique and contemporary floor work set to 90s hits. Finding connection between the feet and the top of the head, discovering the strength and freedom of everything in between. Get ready to pump up those gams! 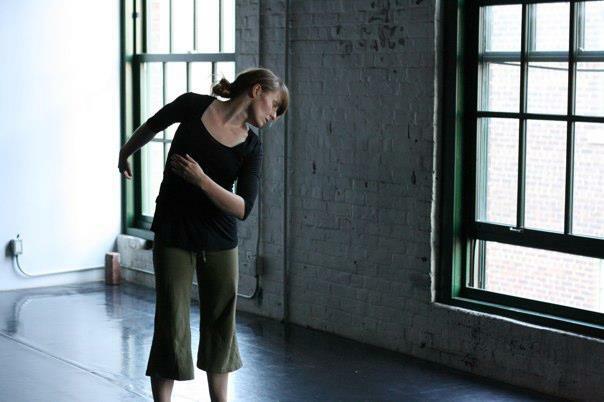 Krista Posyniak is an Edmonton-based contemporary dance artist. She has created and performed work for the independent stage, fringe festivals, musicals, and fundraisers. Krista is a graduate of The School of Toronto Dance Theatre and Macewan University’s Arts and Cultural Management. Krista studied with renowned instructors across Canada, in Israel, and Taiwan and has performed across Canada. As well, Krista choreographs, teaches dance, and is an arts manager. Select credits include: damn+Good (2018) New Music Edmonton/Good Women; Family Dinner and Family Dinner: the Lexicon (2017) Justine Chambers; The Other (2016), and BEARS (2015), Pyretic Productions/Good Women Dance; Falling down stairs, Mile Zero Dance – Gerry Morita (2012).